The BPFNA Summer Conference (see previous post) in 2007 was hosted by 2 institutions, Berea College and the Church of Christ, Union, Berea, Kentucky, commonly known as “Union Church.” Both institutions were founded by the same man, John G. Fee (1816-1901), a missionary and church-planter with the abolition-minded American Missionary Association (AMA). Though antebellum Kentucky was a slaveholding state, Fee planted abolitionist churches. The mildly emancipationist Kentucky politician Cassius Clay(1810-1903), after whom the boxer Muhammed Ali was originally named, arranged for Fee to obtain a tract of land to be used for abolitionist purposes. Thus, the town of Berea, Kentucky and the college of the same name were founded to be abolitionist and integrationist seeds in the midst of slaveholding Kentucky. The town was planned with a balanced number of whites and free blacks and, as often as possible, their houses were intermixed instead of segregated into separated neighborhoods. Berea College was founded in 1855 (10 years before the Civil War) as the first integrated college in the South, and the first to admit women on an equal basis with men. Growing out of the same evangelical, revivalist, and abolitionist spirit of Charles G. Finney and Timothy Dwight Weld that produced Lane College and Seminary in Cincinnatti, Antioch women’s college in Yellow Springs, OH, Wilberforce University and Seminary, and, especially, Oberlin College, Oberlin, OH, many of Berea’s early faculty members came from Oberlin to form a school that would be, in John Fee’s words, “anti-slavery, anti-war, anti-wealth, anti-rum, and anti-sin.” More on the amazing history of Berea College in a future post. Two years before founding Berea College, John G. Fee founded Union Church (1853). Because abolitionists were so few in Kentucky, the church could not afford to be denominational–they needed every abolitionist Christian they could get as members! So, from the beginning, Union Church was ecumenical, although liberally evangelical and Protestant in spirit. It has largely functioned as the college church, especially after the town and surrounding county grew enough to support Baptist churches, Disciples of Christ, a Catholic parish, an Episcopal, Methodist, and Presbyterian churches. 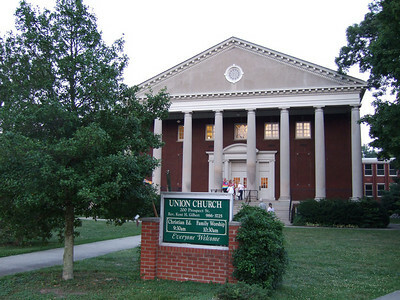 Union Church’s ministers, after the dissolution of the American Missionary Association have mostly come from pedo-baptist denominations, especially Methodists, Presbyterians, and Congregationalists, with the occasional Baptist or Disciples pastor. The current pastor, Kent Gilbert, is ordained in the United Church of Christ (successor to the Congregationalists). After John Brown’s raid on Harper’s Ferry in Virginia in 1859, Fee and all his followers were driven from the Commonwealth of Kentucky–no slave revolts were wanted here! In 1865, after the Civil War, the scattered community of radical abolitionists reassembled, the church and college were reconstituted, and for decades the population of school, church, and town approximated 50% white and 50% black. For about 45 years, it was one of the most successful of the many utopian communities that American revivalist Christianity routinely produced from the 18th through the early 20th centuries. Most of the worship services of the BPFNA peace camp this past week were held in Union Church, while Berea College housed us in its dorms, fed us in its cafeteria, and gave us rooms for workshops and projects. I have to say that the acoustics at Union Church were great for all the music and singing of our morning and evening worship services. Union Church welcomes all followers of Christ, and works with all who work with Him; respecting each man’s [changed in the 1970s to “person’s”] conscience; working by love, endeavoring to keep the unity of the Spirit in the bond of peace. We BPFNA peace campers felt warmly welcomed by Union Church, especially by the Office Manager, and by Pastor Kent Gilbert, who, along with some other members, joined us for many of our sessions. (I was glad to see that a few members from 2 nearby Baptist congregations also ventured to see what we were all about.) I will post a picture of Rev. Gilbert later. The BPFNA youth created a “peace pole” this week (see later post) and, in gratitude for our host congregation, donated it to Union Church. 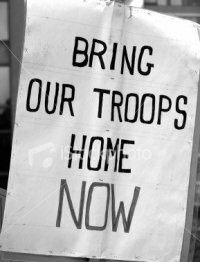 We solemnly warned Rev. Gilbert that a peace pole can be a lightning rod–attracting not only bad weather, but also negative social attention, perhaps even evangelism. But this church is used to such costly witness.